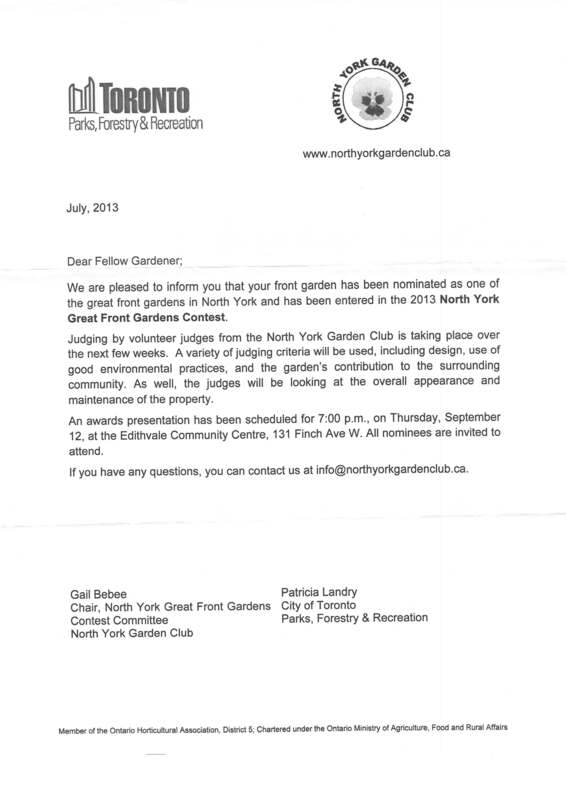 PNG nominated in North York Great Front Gardens contest! Parkview Neighbourhood Garden has been nominated as one of the great front gardens in North York in this annual contest conducted by the North York Garden Club. As far as we know, this is the first time that a vegetable garden has been nominated. The winner will be announced on September 12, but it is an honour just to be nominated!